Kevin Klein, 36, a nine-year veteran most recently assigned to Southwest Philadelphia's 12th District, is facing counts including simple assault, driving under the influence, and leaving the scene of an accident, authorities said. A Philadelphia police officer will be fired and faces criminal charges for allegedly crashing his car into another vehicle while driving drunk last Christmas Eve, then fleeing the scene and pulling his gun on the people whose vehicle he hit when they caught up to him, according to the District Attorney's Office. 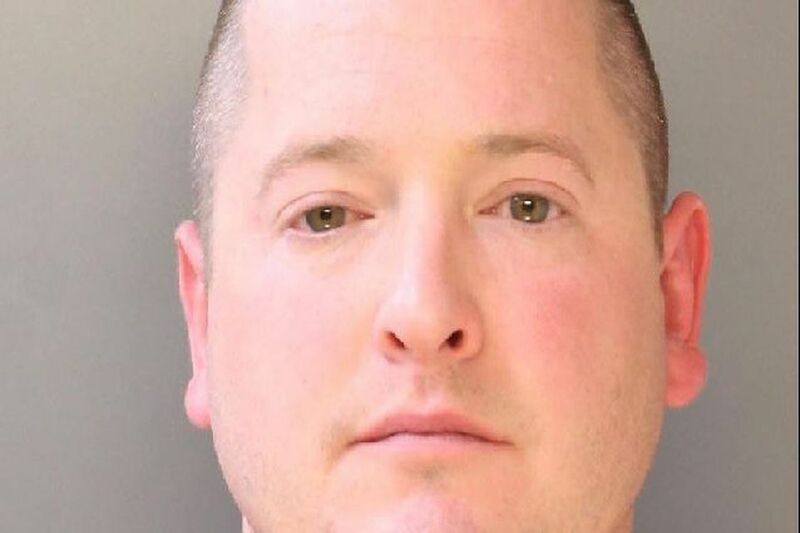 Kevin Klein, 36, a nine-year veteran most recently assigned to Southwest Philadelphia's 12th District, turned himself in Wednesday and is facing counts including simple assault, driving under the influence, and leaving the scene of an accident, authorities said. Klein was off duty when his car struck the other car on the 6100 block of Passyunk Avenue in Southwest Philadelphia on Dec. 24, the District Attorney's Office said in a statement. After he drove away, the statement said, the driver of the car Klein hit — who was not identified — followed him for several miles, and saw the officer's car swerve and strike a concrete median. When Klein eventually pulled over, the statement said, he appeared intoxicated and refused to show his driver's license or other documents. Klein then pulled out his service weapon and pointed it at the people in the other car before driving off, the statement said. Klein has been suspended from the Police Department for 30 days with intent to dismiss. It was not immediately clear whether he had retained an attorney.